rating. The DRX-Plus will keep you working when mother nature isn’t cooperating! It offers high resolution imaging with a 139 micron pixel size and can be operated wireless or with a tether for maximum flexibility in the field. REDUCED EXPOSURE – DDA panels are highly sensitive. Combine this with the ability to do frame averaging and you will likely be able to reduce your dose and still capture all the sensitivity needed for your critical inspection task. FASTER – Uses no disposable media in the process so you cut out cassette loading and unloading time, developing, processing and reloading for the next shot. 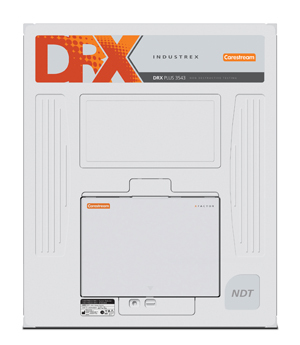 The DRX-Plus offers quick start up and calibration, and rapid image display after acquisition. Produce high quality digital images in seconds for immediate analysis. EASIER – At 6.75 lbs. the DRX-Plus is a lightweight, compact all-weather design that is simple to operate. In the lab it can be put on a powered tether and in the field run 100% via battery. With the ‘hot swap’ feature the panel can remain on when changing batteries, increasing uptime. 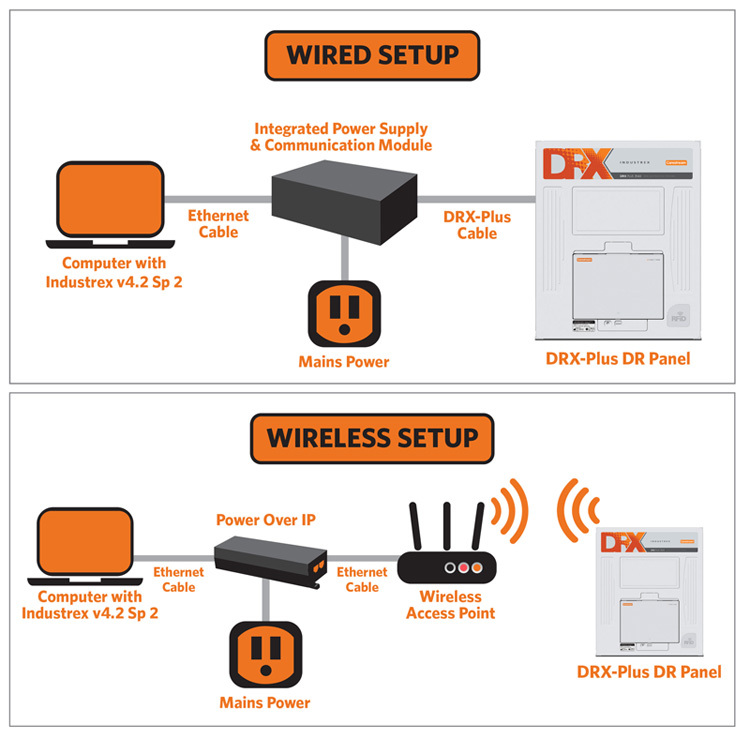 WIRELESS – The DRX-Plus can operate completely wireless giving the user full freedom of movement and minimizing set-up time on site. This is especially helpful for rope access teams looking for minimal weight, high sensitivity and a powerful wireless connection. HIGH RESOLUTION – The DRX-Plus has 139 micron pixel pitch that can reveal small details, cracks, and defects. Powered by our INDUSTREX image analysis software with the most advanced NDT post-capture tools for image measurements, enhancements and analysis. NDT Can Be Rough.Protect Against the Unexpected. Let’s face it, productivity is paramount. When you’re on the job you need your equipment and your team to be working at maximum efficiency. You can’t afford interruptions, unplanned costs, or delays due to accidents. While the DRX-Plus Detector is designed for durability and long life, things happen in the field – and this is where Carestream DRX-Plus Accident Protection Insurance comes in. CARESTREAM DRX Accident Protection Insurance is uniquely designed for the DRX-Plus Detector and can be added to your standard Carestream DRX Warranty. This optional insurance gets you a replacement detector and dramatically offsets cost related to detector replacement due to physical damage or accident.